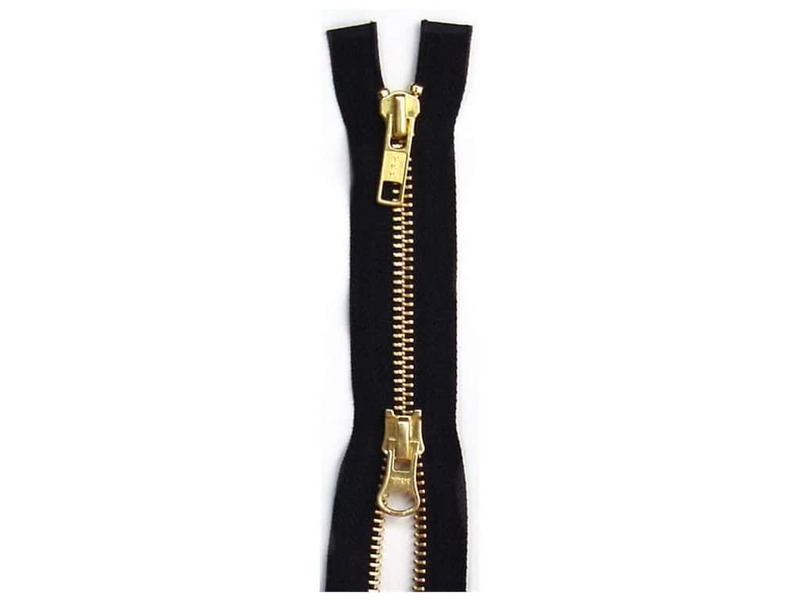 Description: YKK Brass 2 Way Separating Parka Zippers are perfect for vests, jackets, parkas and other accessories. This is a 2 way separating zipper with brass teeth. These zippers have easy pulling sliders that pull to the bottom and open the zipper, the second pull can then be zipped up for ventilation. Size 5. 40 inch. Black. See more YKK Brass 2 Way Separating Parka Zippers. YKK Brass 2 Way Separating Parka Zipper 40" Black 5.00 out of 5 based on 6 ratings. 6 user reviews.